"Ivy" was raised in the house, and is "housebroke". Very friendly towards people and other dogs. Her temperament is towards the soft side. She is very easy to handle when working in the field. "Ivy" is steady to "wing shot" has been worked in braces, and honors well. Also does simple blinds. 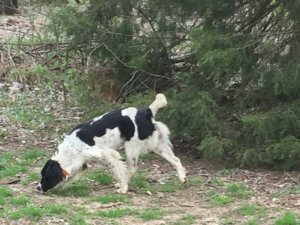 "Ivy" was ran in 3 puppy stakes and placed in all 3. 1st place in Houston - November 4, 2018; 3rd place Pawnee September 28, 2018; and 4th place - Missouri January 11, 2019. 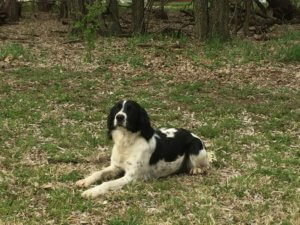 Ivy, I believe would make a great beginner dog for Amateur Field Trials, Hunt Tests (trained to Senior level now, could easily be advanced to Master with more "water blind" training). 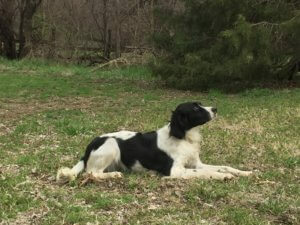 Ivy, also has experience on wild pheasant, quail, and dove. She hunted nearly every weekend November-January in Kansas where we live. Great hunter!